Polar bears roaming in the Russian town of Novaya Zemlya. Parents in a remote Russian archipelago are scared to send their children to school after a “mass invasion” of polar bears into residential areas, state news agency TASS reported. Novaya Zemlya, located off Russia’s northeastern arctic coast, has been swarmed by dozens of polar bears since December. The region’s largest settlement, Belushya Guba, with a population of about 2,500 people, has reported more than 50 sightings. Polar bears are increasingly coming into contact with humans as climate change reduces their sea-ice habitats, forcing them on land for longer periods of time. “Polar bears are reliant on seals for food and seals rely on sea ice. 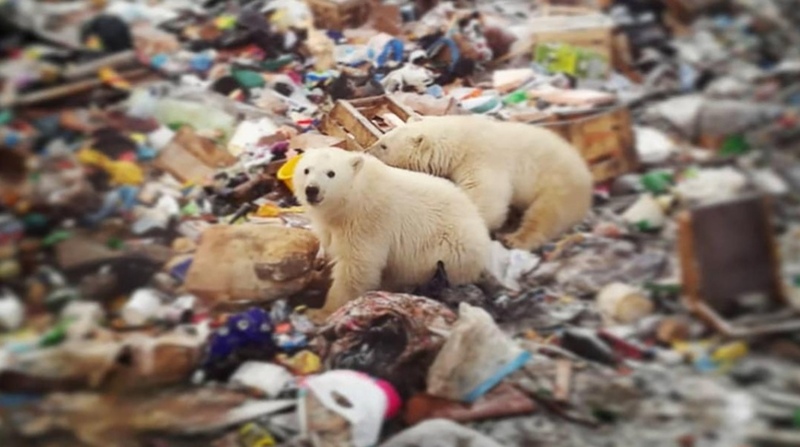 Global warming is melting the ice so it has a chain reaction on how polar bears can survive,” Liz Greengrass, a director at UK animal conservation charity Born Free Foundation told CNN in 2018. The World Wildlife Fund (WWF) has helped set up patrols in some arctic communities to prevent potentially fatal encounters, introducing deterrence tools such as noise making machines, brighter lighting in public spaces, bear-proof food storage containers and safety protocols for when bears do enter communities. Rubber bullets can also be used.